I’ve been to Seattle a few times now and I’ve barely started to explore the city. 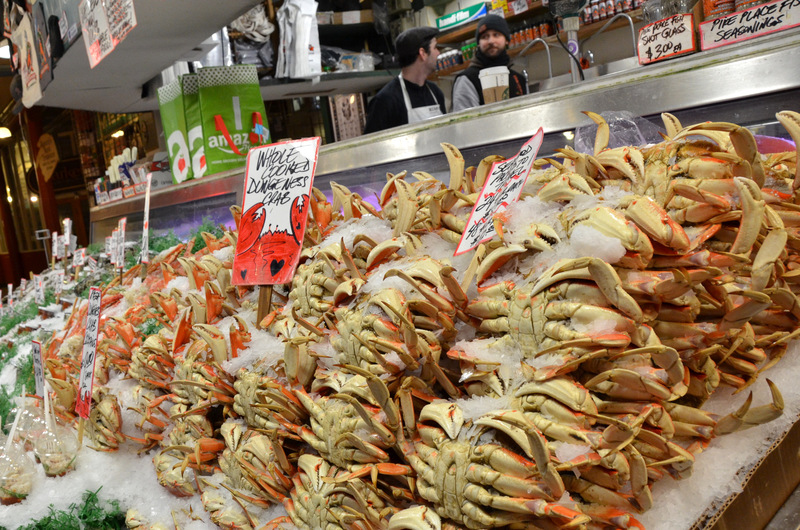 There’s so much to see and do in Seattle that it’s a great place to visit. The nickname for Seattle is “The Emerald City” because of all the greenery. A contest was held in 1981 and in 1982 the name Emerald City was selected as the new nickname for the city. One of the first things to mention about Seattle is the Space Needle. I’ve been up to the top of the Needle two or three times now and it’s always worth the time to stop by when you’re in the city. The Space Needle was built for the 1962 World’s Fair in Seattle for a cost of 4.5 million dollars. It’s 605 feet tall and can stand wind velocity of 200 miles per hour. There’s a restaurant that offers a great view of the city while you dine in style. 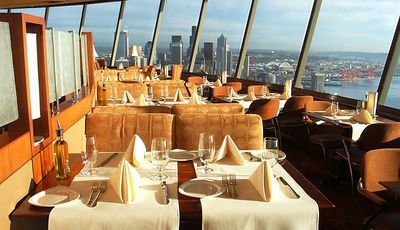 The Needle had the second revolving restaurant in the world. Now rotating restaurants are located everywhere. There’s 848 steps from the basement to the observation deck. 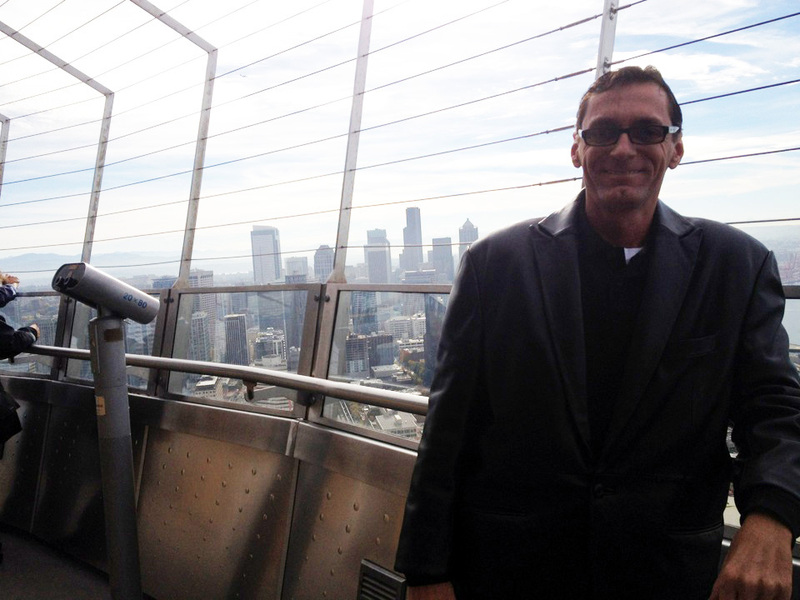 In 2000, the Space Needle completed a 20 million dollar renovation. Once you come down, you can buy souvenirs at the gift shop. I purchased some glassware with the Needle logo on it and a jacket. 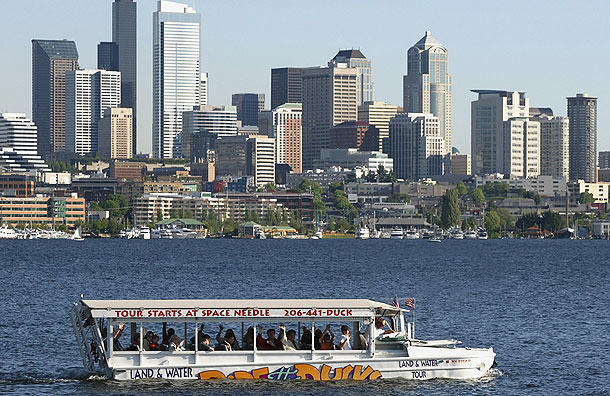 Seattle has many ways to see the city. One of the more unique ways is by Duck. These vehicles run on land and in the water. 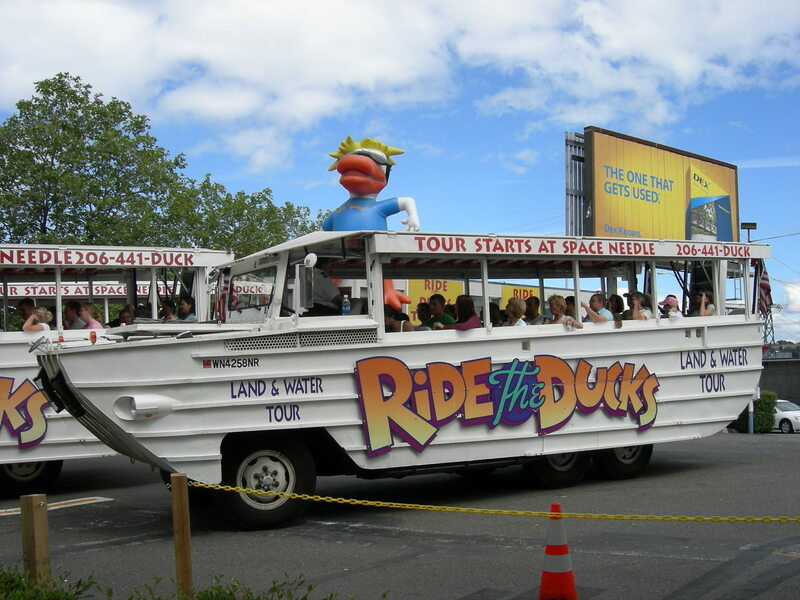 I’ve seen them in other cities I’ve traveled to but I’ve never taken a tour on a Duck although it’s on my list of things to do. There’s many museums in the Emerald City but one of the most interesting is the Experience Music Project or the EMP Museum. If you’re interested in seeing strange things, you can stop by the gum wall. 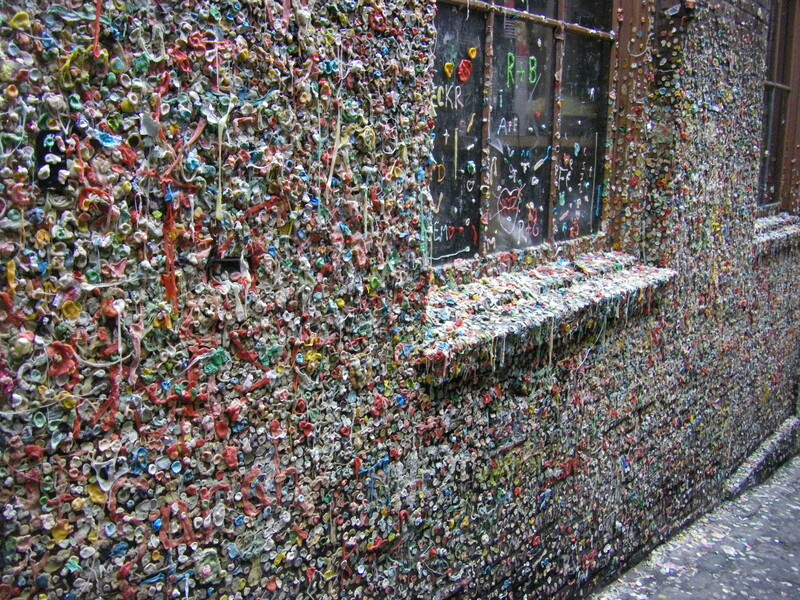 The Market Theater Gum Wall is covered in used chewing gum sometimes several inches thick, 15 feet high for 50 feet. 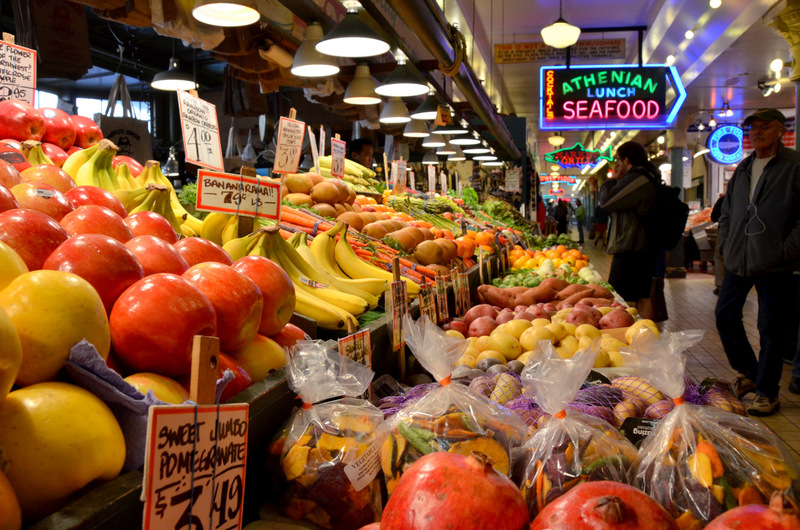 Pike Place Market is definitely one stop you have to make on your trip to Seattle. 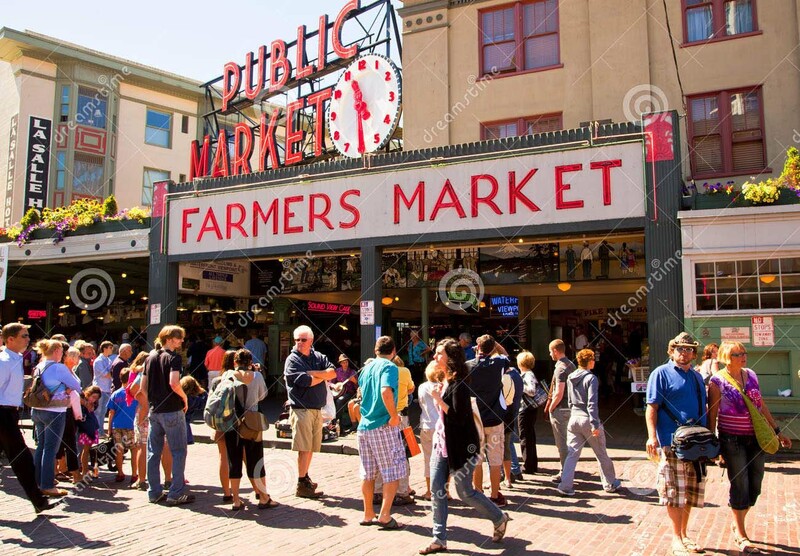 It opened in 1907 and is one of the oldest continuously operated Farmers’ Markets in the U.S.
10 million people visit the market annually. 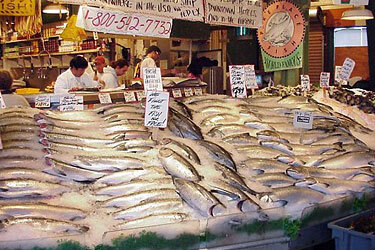 Pike Place Market is Seattle’s most visited attraction and is the 33rd most popular tourist destination in the world. 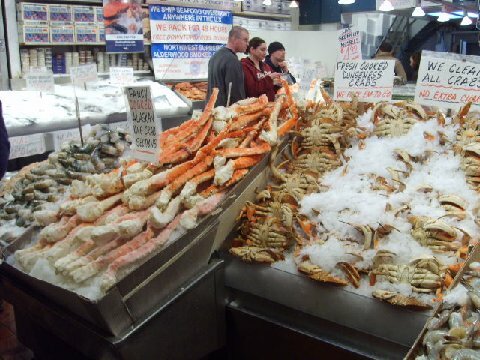 The market is home to many unique shops such as antique dealers, comic books and collectibles, family owned restaurants and one of the oldest head shops in Seattle. In the upper level of the market, local farmers and craftspeople sell year round from tables they rent on a daily basis. There’s lots to see and buy and great people watching. 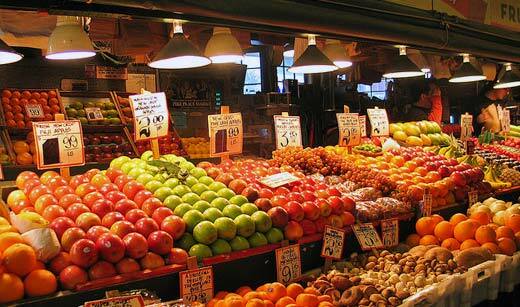 I loved my visit to Pike Place Market. 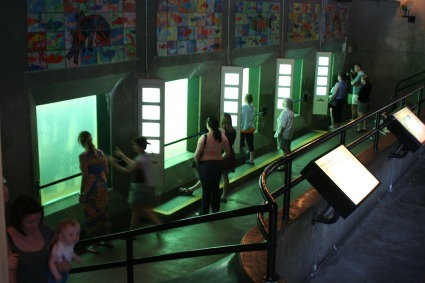 On my first trip to the Emerald City, a friend I was traveling with wanted to show me the fish ladder so off we went. 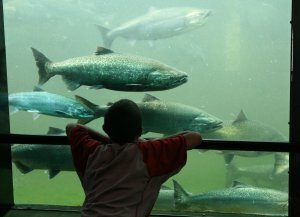 The fish ladder helps the salmon get upstream by providing rest areas out of the flow of downstream water. At first, I wasn’t too excited to see this but once I got there I found it very interesting. Seeing these fish while they rested, on their journey upstream, was a real treat. 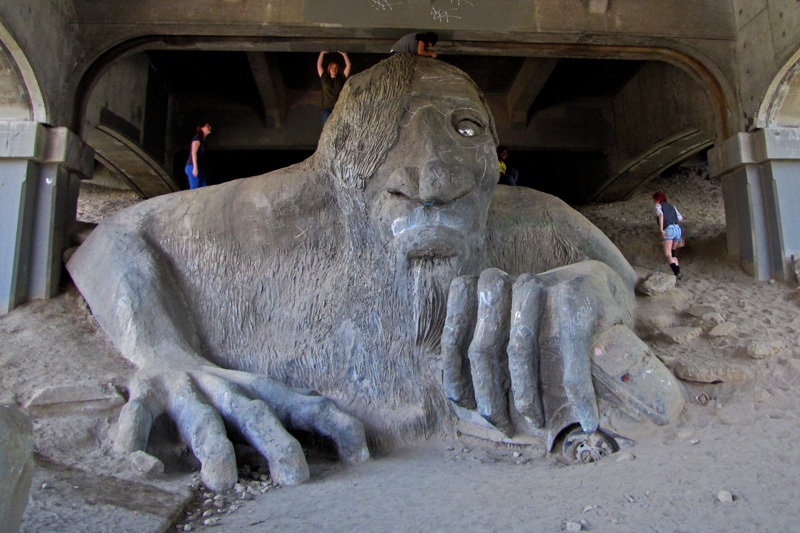 Another interesting sight to see is the Fremont Troll. It’s a public sculpture in the Fremont neighborhood of Seattle. In its’ left hand it is clutching a real Volkswagen, as if it had just grabbed it from the road above. 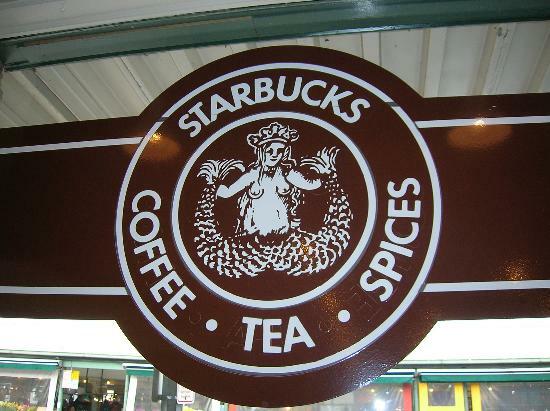 Often called Original Starbucks, the first Starbucks was established in 1971 at Pike Place Market in downtown Seattle. Starbucks is the largest coffeehouse company in the world. They have over 21,000 stores worldwide in over 64 different countries. 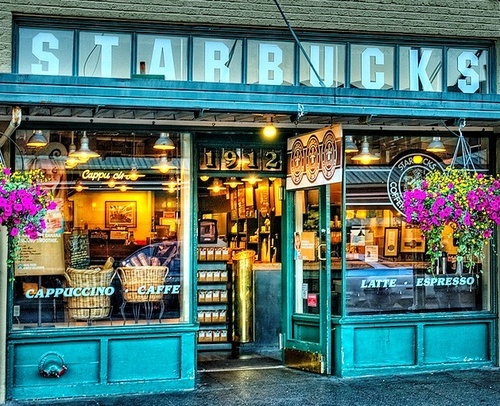 In the U.S. alone, there’s over 12,000 Starbucks. I really enjoyed my visits to the Emerald City and would go back if I didn’t have other places on my “Bucket List” yet to travel to. 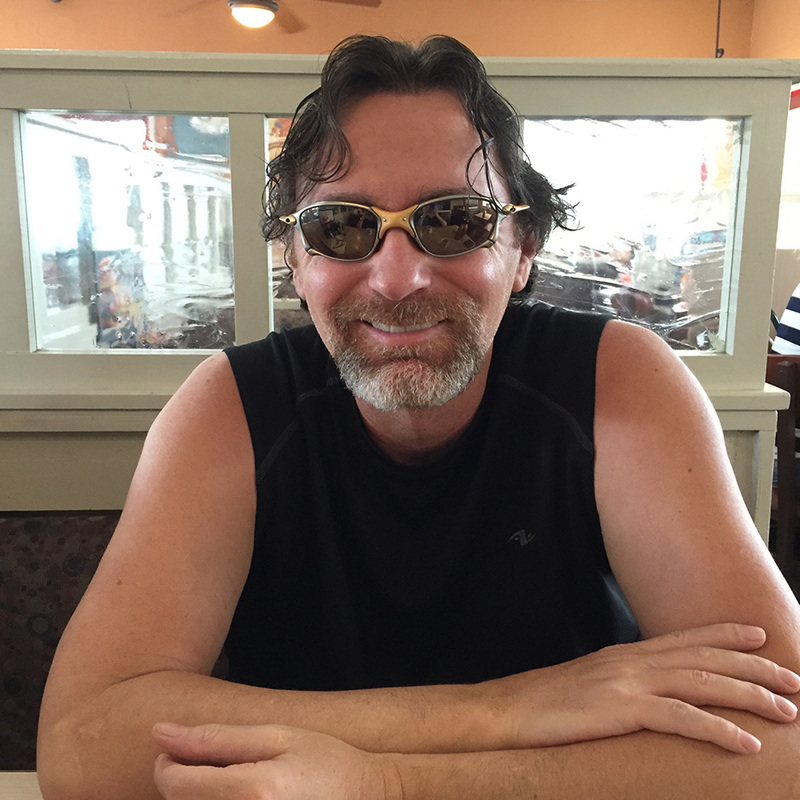 I hope you’ve enjoyed reading about Seattle and looking at the photos. There’s 25,000 more pictures on my website from my travels and plenty of videos to view as well.